Fossil's founding principal of bringing fashion and function together is visible in their unique styles. 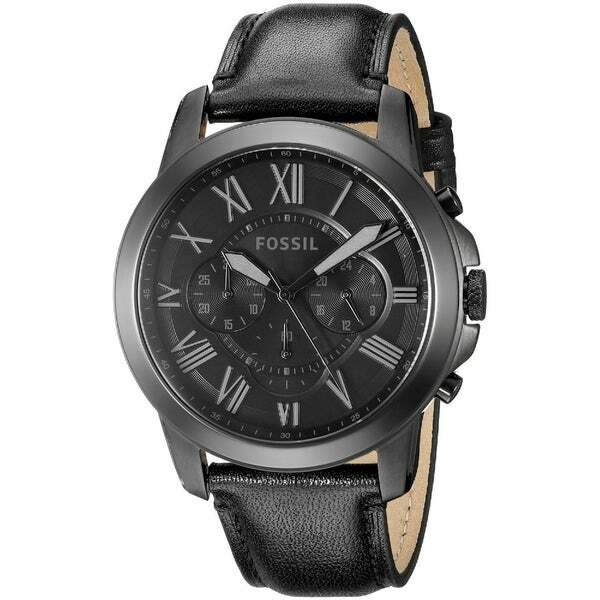 This men's watch from the Grant collection features a black leather strap and black chronograph dial. I bought this watch for my fiancee for his birthday he loved it..looks exactly like the picture if not nicer in person it's a perfect everyday watch. "How can I order the watch in the second picture? It’s a bit different than the rest but I like it more." "Who is the seller of this watch? Is it verified original ?"